Talking Naturally is a fortnightly podcast discussing birds, wildlife, conservation and whatever else interests us and we think will interest you. Presented by Charlie Moores, a long-term birder with a passion for conservation and animal welfare and produced jointly by Rare Bird Alert and WildSounds & Books. There are a number of ways you can listen to Talking Naturally. Subscribers to our free weekly newsletter will get the podcast emailed to them every fortnight too, so make sure you register if you haven’t already done so. You can follow Talking Naturally on Twitter and Facebook. Episode 31 is in two parts. First a recording from this year's British Birdfair of Charlie Moores (Talking Naturally and BAWC), Dominic Dyer (CEO of the Badger Trust), and Mike Dilger (ecologist and TV presenter eg the BBC's One Show), discussing wildlife crime, then a conversation with the World Parrot Trust's Africa Programme Manager Dr Rowan Martin on why the Convention on Trade in Endangered Species must move the Grey Parrot from Appendix 2 to Appendix 1 and end the trade in wild-caught birds. Episode 30 is all about Hen Harrier Day 2016, a nationwide protest at the vanishingly low numbers of breeding Hen Harriers in, especially, England, where the scientific consensus is clear: there should be more than three hundred pairs but in 2016 there were just three: illegal persecution has brought the Hen Harrier to the brink of being wiped out as a breeding species in England. This podcast is a series of vox pops and in-the-field conversations, with birders, naturalists, political leaders, and leading conservationists including Mark Avery and Chris Packham. So, you and your mates decide you'd like to produce a definitive photographic field guide to the birds of Britian and Ireland. You think about what's needed and ten years later, having sifted through a quarter of a million photos and enlisted one of the UK's top birders to write the text, it's finally out. Is it what you hoped? Is it what birders have been waiting for? Or are we all switching to apps, and is a new field-guide what's needed anyway? Andy Swash and Rob Hume give us their thoughts. A shorter than usual Talking Naturally conversation, a fact we're cunningly disguising by calling it a 'Special' - which isn't to say that isn't special, just a bit short. This one is about parrots, and I talked with David Woolcock, curator at Hayle's Paradise Park, about an hour after I finished a 24 hour, 200 mile cycle ride - Pedal for Parrots - from Wiltshire to the Hayle Estuary in Cornwall, raising funds for the World Parrot Trust. Episode 28 and this time around we are swapping out our own 'birds conservation wildlife' tag for something completely different. We're talking about mental health with Tris Reid, aka The Inked Naturalist, a conservationist/general naturalist who has become well-known for wearing his heart on his sleeve and covering most visible parts of his body with tattoos of birds. Why the change in focus? Because while this podcast might not work for most people, if it helps even one listener it will have been worth posting it. Owned by Northumbrian Water, Kielder Water holds a staggering 200 billion litres of water, making it the largest reservoir in the UK by capacity with a shoreline that is almost exactly the same as the length of a marathon! The reservoir itself is the centre-piece of the Kielder Water and Forest Park which boasts the largest working forest in England. Wildlife? Ospreys, Otters, Red Squirrels, Water Voles, Adders and much, more more. Episode 26 and we have two interviews linked by beaches and things that - most of us will probably agree - shouldn't be on them: feral cats and trash. First up is Grant Sizemore of the American Bird Conservancy discussing plans to sue New York State Parks for maintaining a colony of neutered feral cats which are endangering breeding Piping Plovers, then Martin Dorey, founder of #2minutebeachclean who is asking everyone to do just a little bit to help keep beaches free of plastics and other trash. Episode 25 and we have two interviews and both begin with the letter H: we're talking Hedgehogs with Charlie Creek of Willows Hedgehog Rescue, and hunt trespass with Joe Hashman of Hounds Off Both are creating a hub of information, both are working to halt harm to our wildlife...so hip hip hooray to the both of them. Episode 24 and this episode is all about 'ultra marathons' - like marathons with a bit more distance and bit more suffering thrown in. Who is suffering and why? Radio producer Mary Colwell, who is walking 500 miles to fundraise for Curlews, and - myself: yes, in an outrageous piece of self-publicity I'm discussing with Jamie Gilardi, Director of the World Parrot Trust, my 24 hour 200+ mile cycle ride from Wiltshire to Cornwall to fundraise for wild parrots. In this episode we're talking with Terry Townshend, an ex-pat Norfolk birder who's been living and working in Beijing, China since 2010, where he writes the increasingly influential and conservation-based 'Birding Beijing' - a blog dedicated to celebrating the birds of China’s capital city. An excellent birder, Terry has a professional background in environmental law, is a regular contributor to the China Birdwatching Society’s lecture series, and in 2012 he became the BirdLife Species Champion for the Endangered Jankowski's or Rufous-backed Bunting. In a special podcast we're back 'Around the Med' discussing the almost incredible numbers of migratory birds killed in the region every year - around 25 million birds killed illegally by shooters and trappers every year - with Roula Trigou and Fran Vargas-Bianchi of the Hellenic Ornithological Society or HOS, the BirdLife partner in Greece. We have two interviews in this episode, themed (pretty loosely) around the Mediterranean. We're looking at Montagu's Harrier conservation on both sides of the Med with Mark Thomas (RSPB) and Almut Schlaich (Dutch Montagu's Harrier Foundation); and at the Critically Endangered Iberian Lynx (which like its principal prey item the European Rabbit) is endemic to the Med, with Eduardo Goncalves founder of SOSLynx and chief-exec of the League Against Cruel Sports. A special TN podcast about Abberton and Hanningfield Reservoirs in Essex, sponsored by and produced in association with Essex and Suffolk Water, part of Northumbrian Water Limited. Abberton, where a successful expansion scheme was completed last year, is the largest body of freshwater in Essex, an SSSI, a Special Protection Area (or SPA), and a Ramsar Site because of the large numbers of waterbirds that roost, stage and winter here. Hanningfield is also an SSSI with a large colony of Soprano Pipistrelle bats and important numbers of waterbirds. 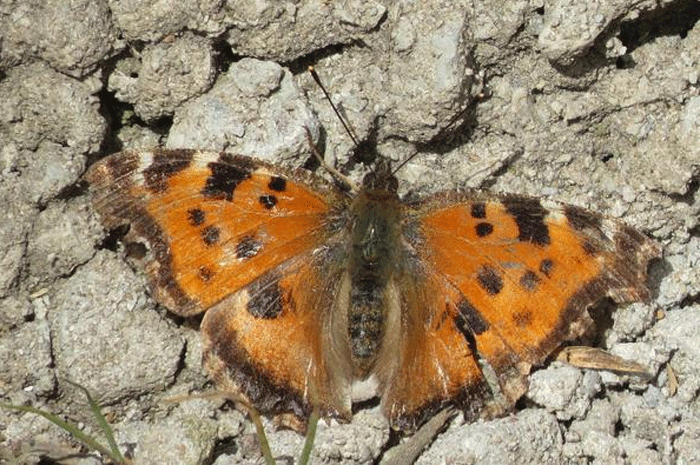 Both locations hold small reserves managed by Essex Wildlife Trust, a partnership that works to manage and improve biodiversity across both sites. In this episode we're discussing an Australian endemic, the Critically Endangered Orange-bellied Parrot with Mark Holdsworth: if it wasn't for the extraordinary efforts of Mark and other members of the Orange-bellied Parrot National Recovery Team the species would already almost certainly be extinct in the wild. 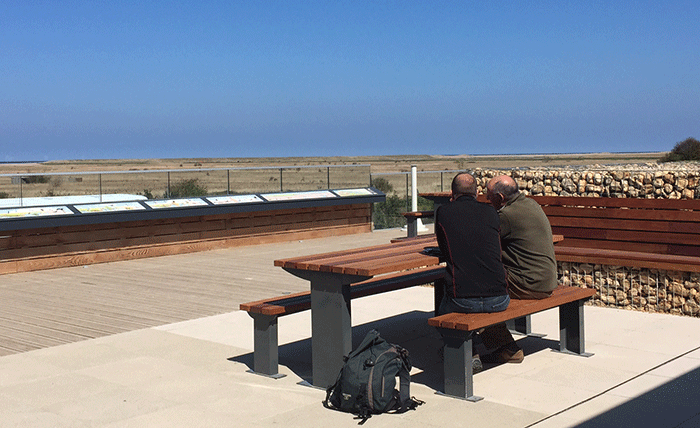 Closer to home we're talking with Rob Adams, Chairman and Treasurer of Spurn Bird Observatory Trust about - of course - Spurn, site of the Spurn Migration Festival and the UK's newest observatory accommodation. On a sombre note, Rob was a close friend and colleague of Martin Garner, one of birding's brightest stars who died at the end of January and Rob pays tribute to Martin..
We've three interviews for you this episode. We're talking with Noah Strycker, the new Big Year world record holder who in 2015 travelled to 41 countries on all seven continents and finished with a remarkable 6042 species on his year list; with the RSPB's Andre Farrar discussing the recently-released government Hen Harrier Action Plan - a short document that includes the prospect of brood management in its 11 pages; and with Bristol-based author and researcher Ed Drewitt on the rise of the urban Peregrine. Noah Strycker:. You can read Noah's daily blogs from his big year, here. And you can watch a 5 minutes highlight reel of Noah's big year here. Hen Harrier Action Plan: You can read the full report here (pdf). Read response from Martin Harper, the RSPB's Conservation Director, on the Hen Harrier Action Plan here. A look back at 2015 - not easy to compile really as since we launched Talking Naturally in late May we've uploaded almost 20 hours of discussion and chat, some of it serious, some of it more light-hearted. We've talked with a wide range of authors, activists, scientists and experts - many of whom describe themselves as 'ordinary people' - and covered everything from the badger cull, driven grouse shooting, and saving pilot whales, to pesticide overuse, what MEPs actually do, raptor persecution, and walking, kayaking and cycling for turtle doves. Here are a selection of conversations based loosely around the theme of 'Inspiration' - something hopefully to inspire us as we make our way into 2016. In this episode we talk with Molly Smith Cato, the first Green MEP for the South West of England, who talks a huge amount of sense about green politics and activism, and with Graham Jones, the RSPB's Area Conservation Manager for the Northwest of England, which includes the Forest of Bowland and it's vanishing raptors. TN 15 features a full-length interview with one of the finest British nature writers working today - Patrick Barkham, Guardian journalist and author of three beautifully-written and thoughtful books: The Butterfly Isles, Badgerlands, and the recently published Coastlines, which a review in The Times described as 'Real, proper, close-to-poetry literature'. For your chance to win all you need to do is spread the word about Talking Naturally! Visit the Talking Naturally page either on Twitter or Facebook. On Twitter retweet the latest episode tweet at the top of the feed. On Facebook share the latest episode post to your timeline. You will be entered into a draw for the three books which will be drawn on Wed 2nd Dec and the winner will be contacted by social media, Good Luck! This time around we're looking at Turtle Doves, a bird that spends less than half of its life in the UK but is embedded in our culture, a bird that would have been familiar to any birder just thirty or forty years ago but which has declined so rapidly that just last week it was formally reclassified by the IUCN as Vulnerable to Extinction in the medium-term. Having declined by 90% in the UK since the 1970s, the species has gone into freefall in the past decade, with numbers falling by a further 77%. Is it too late to save a beloved summer visitor? Of course not. 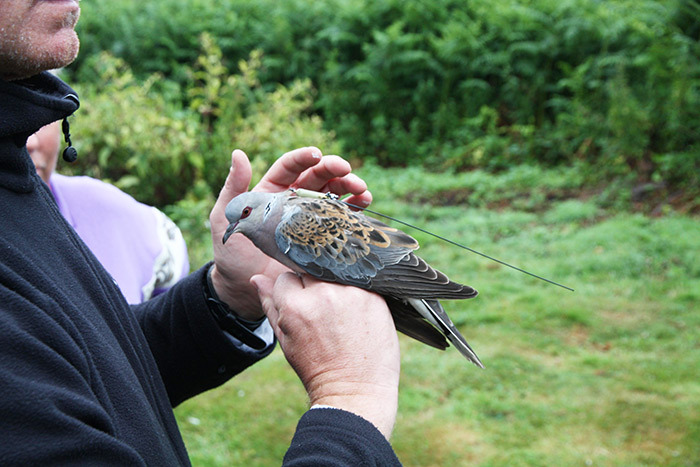 We have interviews with RSPB, BTO, and Dove Step 'Turtle Dove Hero' Jonny Rankin. In this episode of TN we're looking at pesticides, strong poisons that are sprayed in ever-increasing amounts - literally millions of tonnes annually - over the food we eat, the grass we walk and play on, and even - if we follow the lead of actors pretending to be gardeners or proud home-owners - on the driveways we park our cars on. Poisons that - despite friendly reassurances from the chemical industry that 'If used correctly, pesticides should not pose a risk to the health of people' kill far more than the 'weeds' or insect 'pests' that they supposedly target and are soaking into every part of our environment: perhaps the best known example of this is the cocktail of chemicals found in the body fat of Arctic Polar bears more than a decade ago. Dave Goulson, Professor Of Biology (Evolution, Behaviour and Environment) at University of Sussex. We're back with what seems to be an unfortunate theme - attempts to control wildlife. We're talking with Paul Walton, Head of Habitats and Species for RSPB Scotland, on proposals by the Scottish government to allow up 30% of the Greenland-breeding Barnacle Geese wintering on Islay to be shot (www.rspb.org.uk/news/387585-conservation-partnership-urges-minister-to-rethink-risky-goose-cull). Next we talk with Alyx Elliott, the UK Head of Programmes and Campaigns at World Animal Protection, on Wildlife Crime Awareness Week an initiative in collaboration with Crimestoppers aiming get more people aware of wildlife crime, a high percentage of which is committed during efforts to control wildlife (crimestoppers-uk.org/). And lastly an interview that we'd planned to use in our badger podcasts: a chat with Tom Quinn, Director of Campaigns at the League Against Cruel Sports (www.league.org.uk) on whether he thinks the badger cull - designed to control badger numbers - is politically motivated. Get out in the countryside and become Eyes in The Field and report any suspicious activity to Crimestoppers. In this two-part episode the theme's as solid as a badger's hindquarters, as clear as the stripes on a badger's face, and as focussed as a badger sat in front of a pile of peanuts...yep, it's about badgers.We've made this podcast to celebrate badgers, as our contribution to National Badger Day (October 6th), and hopefully to give an alternative view of the badger cull. In Part One Charlie goes out on a wounded badger patrol in Gloucestershire with GABS, and talks with veterinarian Mark Jones, Programme Manager at the Born Free Foundation. In Part Two he's outside again, this time with members of the Somerset Badger Patrol, and then finishes with a talk with Dominic Dyer, chief-executive of the Badger Trust. In episode 10 we have three very different interviews. First up is Rosie Kunneke, who is a Land Team Leader with Sea Shepherd discussing the grindadrap, or Pilot Whale hunt, in the Faroe Islands; second is the RSPB's Chris Bowden talking about Asia's vultures and the catastrophic impacts of Diclofenac; and last but by no means least etc is Steve Micklewhite, outgoing chief-executive of BirdLife Malta on why he's leaving BLM and his reflections on the referendum on spring hunting that took place earlier this year. In a Talking Naturally Special we talk to the chair of the Hawk and Owl Trust, Philip Merricks. The Hawk and Owl Trust (often referred to as HOT) are currently alone amongst conservation groups in supporting a Hen Harrier brood management scheme to take place without a recovery in the Hen Harrier population to take place first. 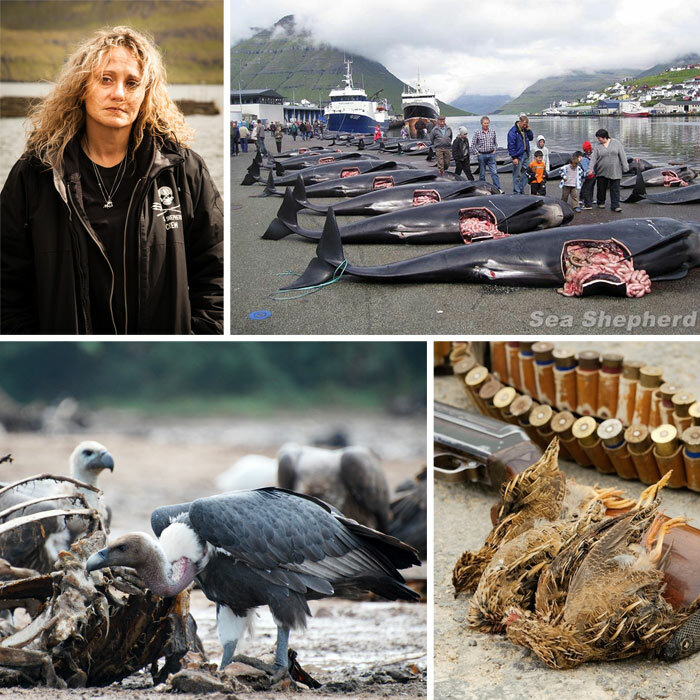 This highly controversial decision resulted in the resignation of their president Chris Packham and put them at odds with many professional conservationists as well as everyday wildlife and birding enthusiasts. This is the first in-depth interview with the chair of the HOT and gave him the opportunity to explain the rationale behind the decision and how they would see a brood management scheme working. 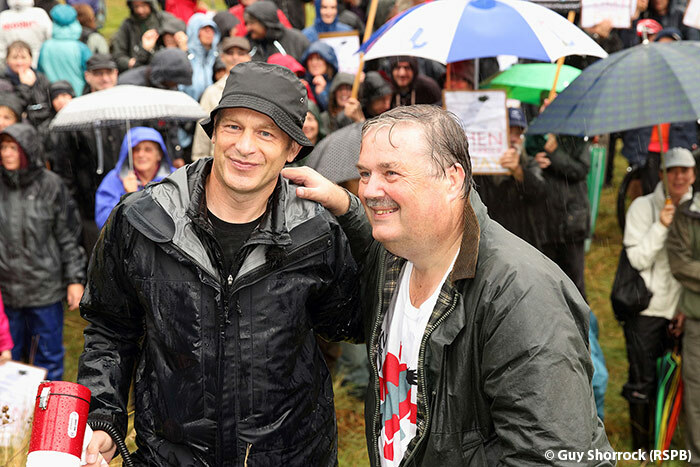 Recorded in the run-up to Hen Harrier Day 2015 we have a wide-ranging interview with naturalist, conservationist and broadcaster Chris Packham. Chris has been heavily involved with Hen Harrier Day since its inception and in this interview, recorded at his home in the New Forest, he discusses Hen Harriers, his sense of injustice at wildlife crime, Mark Avery's latest book, Inglorious: Conflict in the Uplands, for which Chris wrote a particularly powerful forward as well as the recent killing of Cecil the lion. Chris also tells us about the time he still makes to observe and enjoy wildlife and how he wishes he could do more for conservation. In a seamlessly-themed episode we talk with RSPB’s Senior Investigations Officer. Mark Thomas. 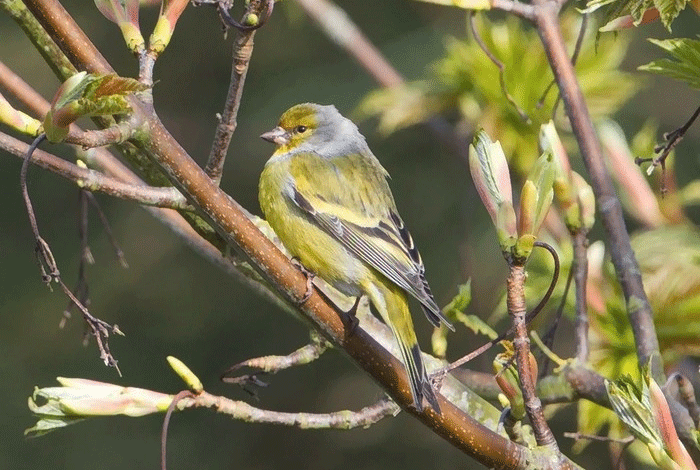 Mark tells us exactly what goes into protecting some of Britain’s rarest birds from disturbance and wildlife criminals such as egg collectors. Mark also discusses how the RSPB and RBA work together to ensure the safe release of news on these rare breeders. We follow that with a chat with Tim Mackrill, Senior Reserve Officer for the Lincolnshire & Rutland Wildlife Trust and who leads the Osprey Project which recently celebrated the hatching of its 100th chick. 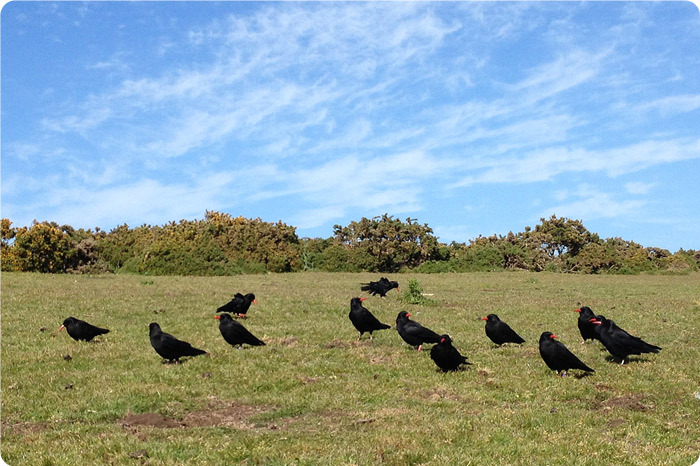 Lastly we're talking about restoring Red-billed Choughs to Jersey with Glyn Young and Liz Corry of Birds On The Edge who are celebrating the first successful breeding attempt by these charismatic corvids in the Channel Islands since the 1920s. 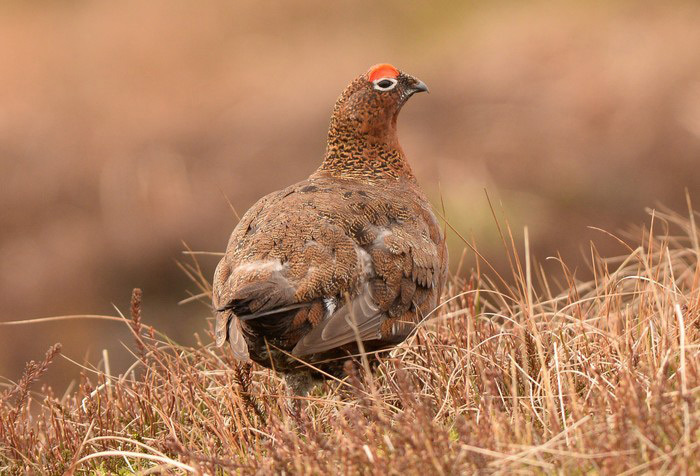 "In this episode we talk with Mark Avery, former RSPB Conservation Director, and now one of the leading figures in efforts being made to stop the persecution of Hen Harriers on driven grouse moors, about his latest book 'Inglorious, Conflict in the Uplands'. 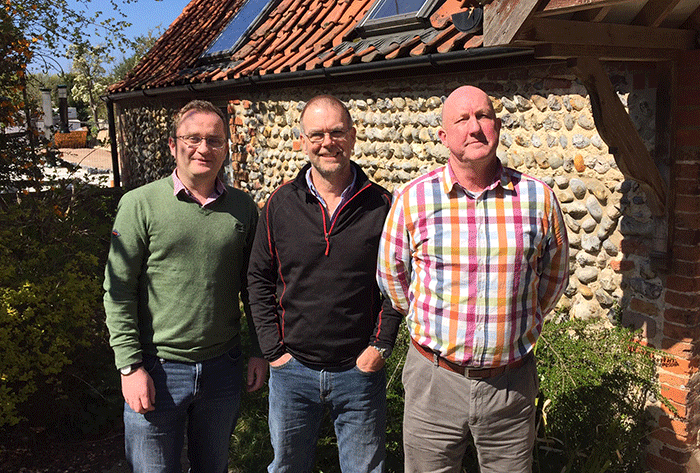 During the OSME summer meeting we spoke with Dr Andy Clements, Director of the British Trust for Ornithology on how scientific data is crucial to tackling illegal bird killing, and how important it is that organisations work together to tackle global conservation issues. And we finish off with Bardsey Island warden Steve Stansfield on THAT Cretzschmar's Bunting and how his euphoria was almost immediately followed by a realisation that visitor numbers to his patch were about to skyrocket..."
In episode five of Talking Naturally we have natural history royalty in the shape of Sir David Attenborough's and his speech at the opening of the Simon Aspinall Wildlife and Education Centre at the Norfolk Wildlife Trust reserve at Cley. As part of 100 Iconic Birds series we talk with Rachel French, who works at Mull Eagle Watch (that's White-tailed Eagle Watch of course). And we chat to YOLObirder - a 'mystery birder 'who designed and then sold what he named the Hen Diagram t-shirt to raise money for Hen Harriers...Yes, we wander about the place here on Talking Naturally! 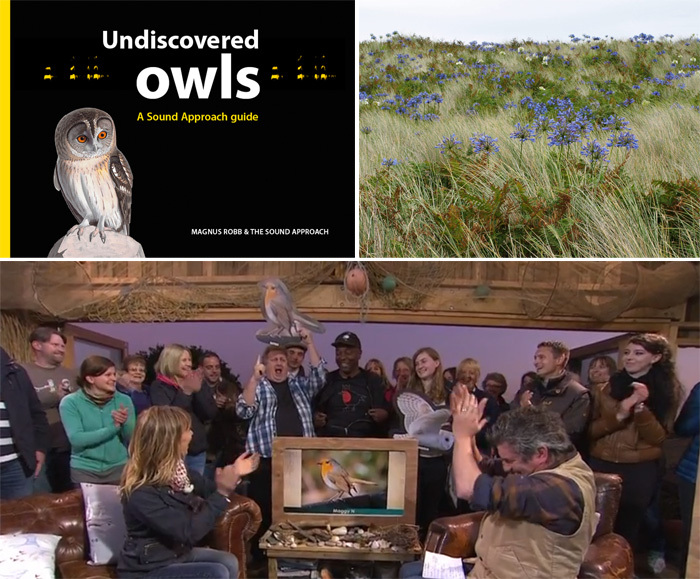 As usual we've a lot of interesting stuff packed into one hour of conservation and wildlife talk - including a reaction by David Lindo to the vote for the nation's favourite bird which was announced live on Springwatch, an interview with the author of Undiscovered Owls, Magnus Robb of The Sound Approach, and an unusual perspective on the Isles of Scilly by botanist and author Rosemary Parslow (which includes a heartbreaking - and oddly funny - tribute to the much-lamented Shore Dock). In another packed podcast Charlie looks at the threat to the EU Nature Directives with the RSPB (far more interesting and certainly far more important than you might think). 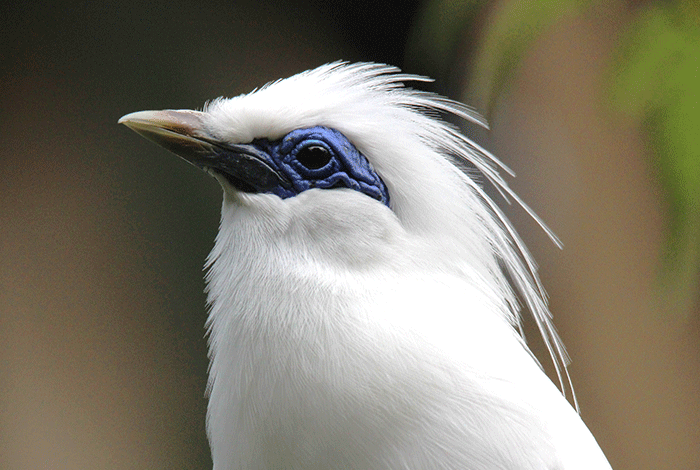 We kick off a new, occasional series on '100 Iconic Birds' with an interview with Mehd Halaouate, a conservationist living in Indonesia who works on the Bali Starling. We've a four minute 'podcast within a podcast' from Bo Boelens, better known perhaps as the FatBirder. In a packed podcast Charlie looks at the badger cull in post-election Britain, the decline of the Yellow-breasted Bunting in East Asia, Buglife and the Horrid Ground Weaver, whether RBA's Mark Golley would prefer to see Neil Young or a Cley mega-rarity, and talks with Simon Barnes about Ten Million Aliens. Dominic Dyer, Chief-exec Badger Trust and Policy Advisor Born Free Foundation badgertrust.org.uk. Dr Nial Moores, Director Birds Korea birdskorea.org. Jamie Robins, Conservation Officer Buglife http://www.buglife.org.uk. Mark Golley, freelance television producer and author of our weekly birding round-ups. 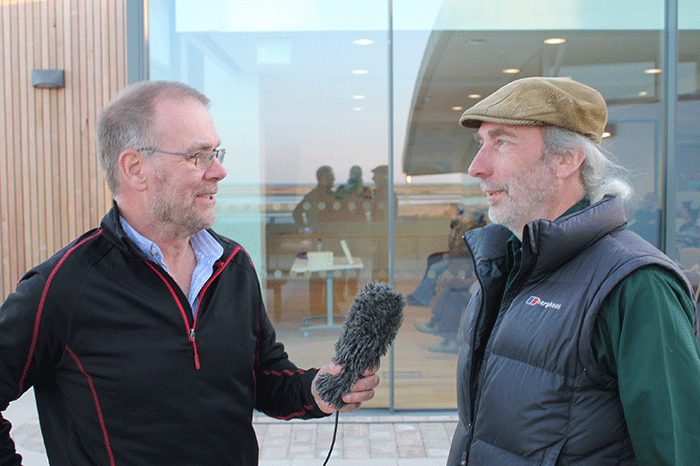 Charlie talking to author Simon Barnes at Cley NWT. 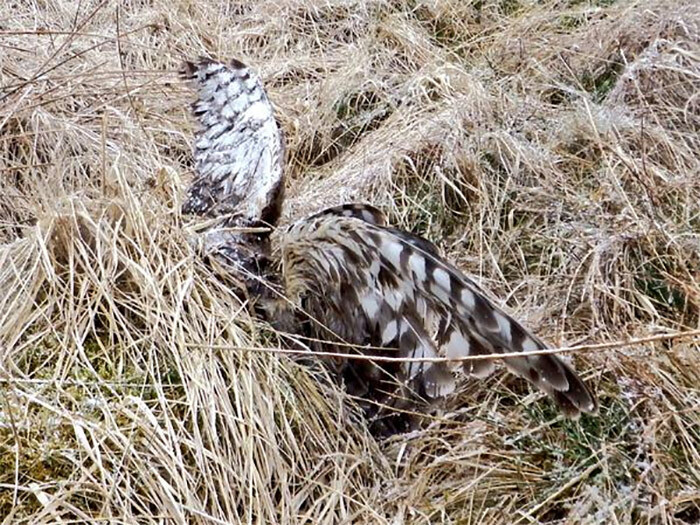 A special episode of Talking Naturally following the announcement by the RSPB on 6th May that three male Hen Harriers disappeared from active nests in the Forest of Bowland in Lancashire. It's almost certain that these harriers were deliberately targeted and killed, but as yet there is no evidence and no proof. An investigation by the Police is currently underway and the RSPB have offered a £10,000 reward for any information which leads to a conviction. 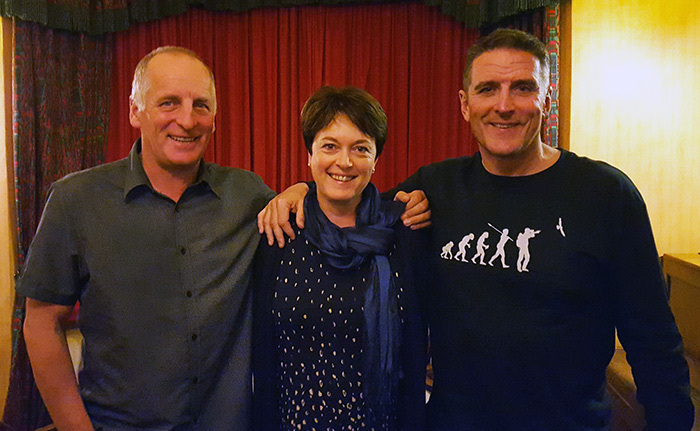 Whilst at a meeting (scheduled long before the Bowland news broke) to discuss, of all things Hen Harrier Day 2015, Charlie spoke with Tim Melling (Senior Conservation Officer for Northern England for RSPB), Tim Birch (Conservation Manager for Derbyshire Wildlife Trust), Mike Price (Peak District Raptor Monitoring Group), and Phil Walton (Birders Against Wildlife Crime), to get their thoughts on the devastating and tragic news. 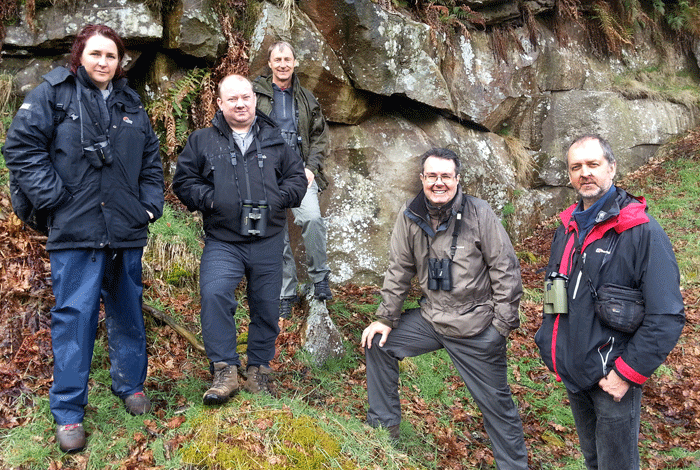 Left to right: Helen Byron (RSPB), Mike Price (Peak District Raptor Monitoring Group), Tim Melling (RSPB), Phil Walton (BAWC), Tim Birch (Derbyshire Wildlife Trust). 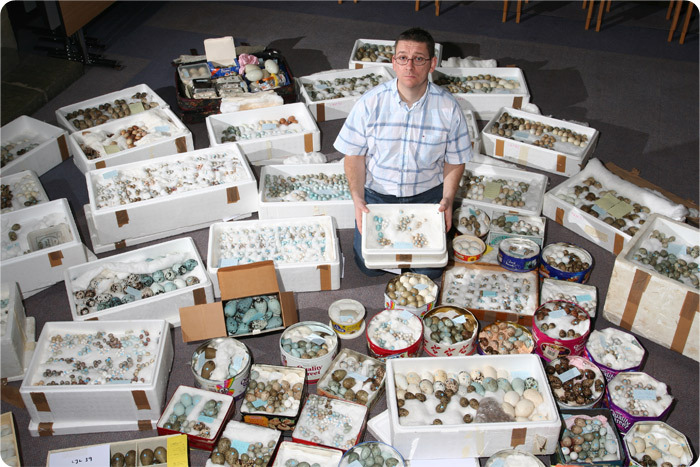 Finder of Britain's 3rd Hudsonian Godwit, Tom Raven, talks about his terrific find on the Somerset levels. 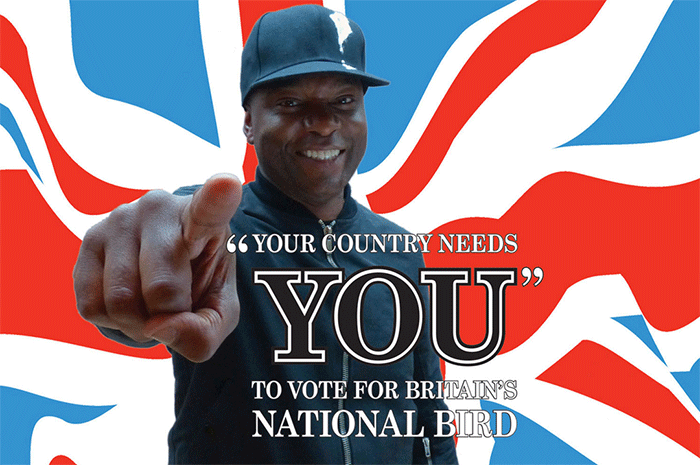 Vote National Bird organiser David Lindo discusses his campaign to get Briton's to name a national bird. 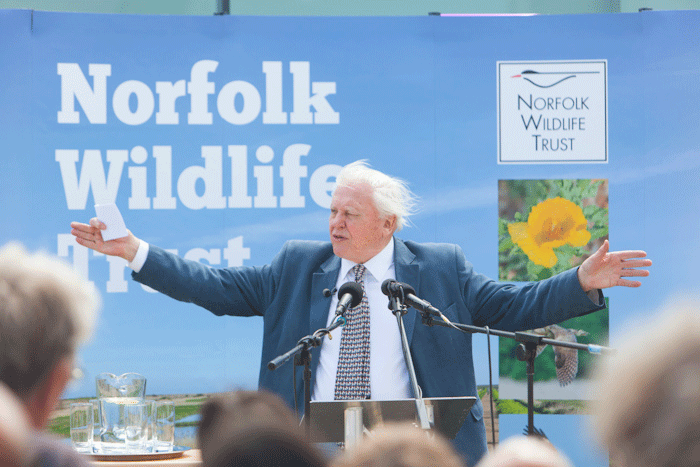 And we speak to Cley NWT warden, Bernard Bishop, on a very eventful 18 months for the reserve which has involved a huge tidal storm surge, a fatal helicopter accident and the acquisition of new land to greatly increase the size of the famous north Norfolk reserve. The Vote National Bird poll is looking for the nation's favourite bird. Charlie talking with Cley NWT reserve warden Bernard Bishop about recent events at the famous reserve.